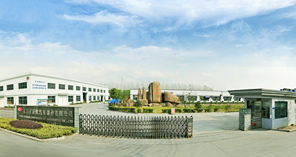 TIANTA is well known as one of the famous Non-stick and high temperature resistance solution manufactory in the world. we have full experience of PTFE coating manufacturing and innovation, the company is unique that can produce PTFE coating products from a single fiber. Ningbo Tianta Fluorine and Silicone iat. was established in 1986. Tianta is the largest manufacturers of fluorine soaked products in China, and also as the leader and exploiter in this field. Several kinds of our special products fill up the domestic vacancy. Mr. Xue, the founder and president of Tianta, invented the 3Tflon Coated Glass Fabric Seamless Belt and applied the patent successfully. This new product solves many problems existing in seam belts. The seamless belts will not easily rupture or distort like seam belts. It is contribution to those customers.